Discussion in 'China & Asia Pacific' started by Luttapi, Sep 20, 2017. 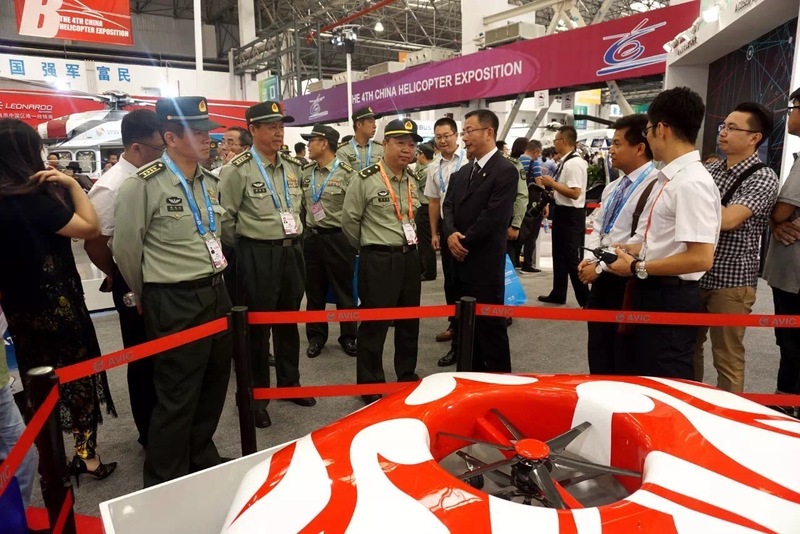 Chinese company Tengoen unveiled a series of armed reconnaissance unmanned aeriel veh icles (UAVs) at the 14th China–ASEAN Expo in Nanning from 12 to 15 September, including two fixed-wing and two vertical take-off and landing (VTOL) UAVs. 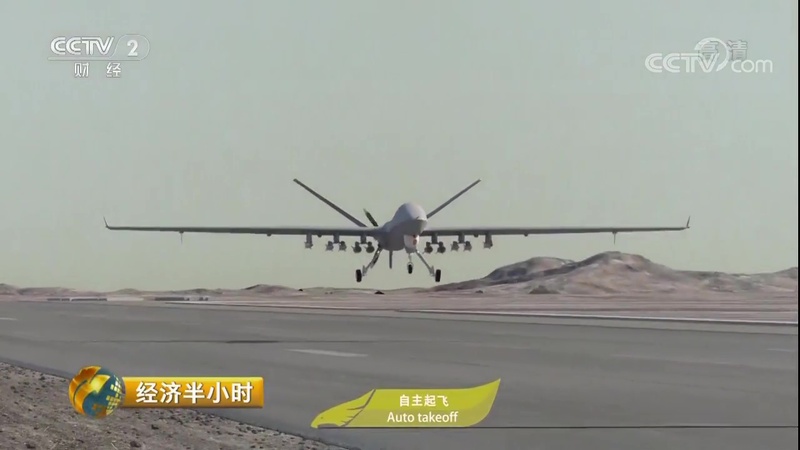 One of the platforms displayed in the southern Chinese city was the TB001 ‘Twin-tailed Scorpion’, which the company claims is the only Chinese twin-engine, twin-boom unmanned aerial system (UAS) on the market. Using two reciprocating engines, the 10 m-long TB001 has a wingspan of 20 m, a maximum take-off weight of 2,800 kg, an endurance of 35 hours, and a maximum range of 6,000 km. Equipped to conduct satellite control linkage and carrying an electro-optical targeting sensor under its fuselage, the exhibited TB001 also has two underwing pylons that can be fitted with dual launchers for small missiles or bombs. Each pylon can reportedly carry up to 100 kg of ordnance. The TB001 was marketed alongside weapons developed by the China Aerospace Science and Technology Corporation (CASC) under the latter’s ‘FT’ series. 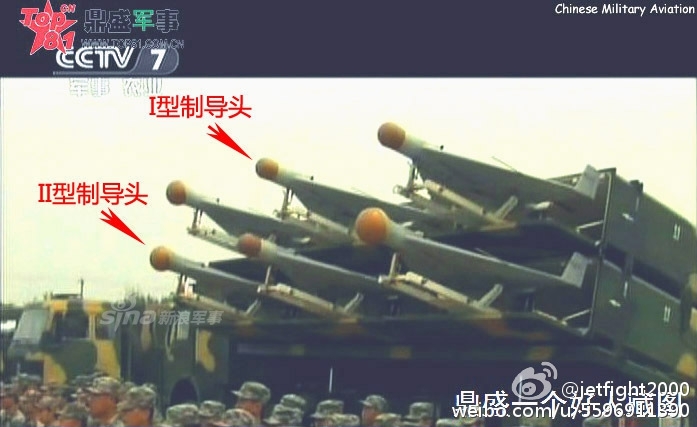 A Tengoen illustration at the exhibition also showed the UAV armed with eight Norinco Blue Arrow ground-attack missiles. Tengoen also unveiled a smaller single pusher-engine UAV called the TA001, which features two underwing weapon pylons and an electro-optical targeting sensor. According to information provided at the show, the UAV has a maximum take-off weight of 1,200 kg and can fly for up to 24 hours. 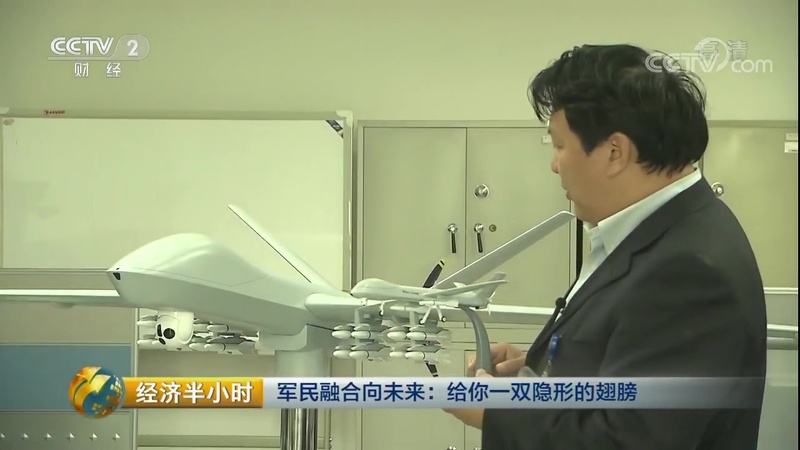 china seriously is the new US in the field of UAVs and 3d Printing. they are really stealing a march on the US on this - India is no where near as of now. we have a serious competitor. I am loving this challenge. until now, our policy makers were happy being ahead of Pakistan, now with China increasingly brandishing its strength against India (and the infamous salami slicing), it will make us either pull up ourselves or face doom. Wolfpack, Bloom 17 and Angel Eyes like this. Hopefully, they will catch up fast!!!!!!!! Wolfpack, brahmos_ii and Luttapi like this. Wolfpack and bharathp like this. A low-cost, ultra-light unmanned helicopter system. Designed to perform reconnaissance, surveillance, emergency rescue, aerial photography, power line inspection and other civilian tasks. Can also be adapted to perform law-enforcement and anti-terrorism duties. After Amazon, which delivered its first delivery of a package of less than 25 kg with a rotary wing drone in December 2016, Jingdong, a Chinese company that has a B2C online sales platform and nearly 60,000 employees just on its distribution network, inaugurates its new parcel delivery service in Xi'an City with 40 flight routes . The Chinese company plans to open 150 drone landing sites in a single Sichuan province within three years. SF Express, the second largest postal service operator after the China Post and employing 400,000 employees, is also investing heavily in research and development of a billion cargo drone. 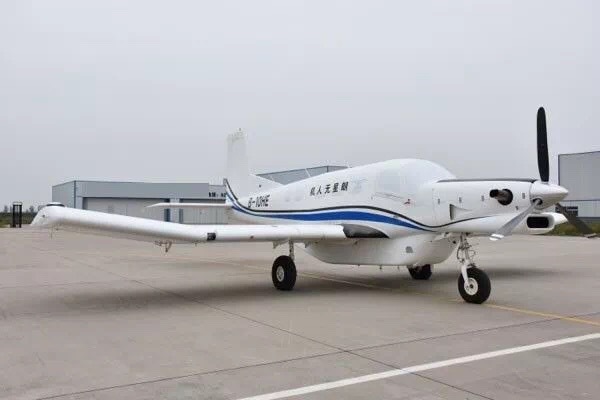 It is the first logistics player in China that has obtained the official license to fly over a drone in Chinese airspace, issued by the Eastern Theater Command of the Chinese Army and valid within a radius of 100 km around the city of Ganzhou. In July this year, SF Express flies an amphibious drone with a carrying capacity of 250 kg, with a range of 10 hours in flight. Another SF Express drone project launched by SF Express in 2015, capable of transporting up to a ton of cargo, and in collaboration with Xianyang Pianzhuan, the Chinese Academy of Sciences, the CETC electronic group and the Chinese aircraft manufacturer AVIC, also to make its inaugural flight this month. 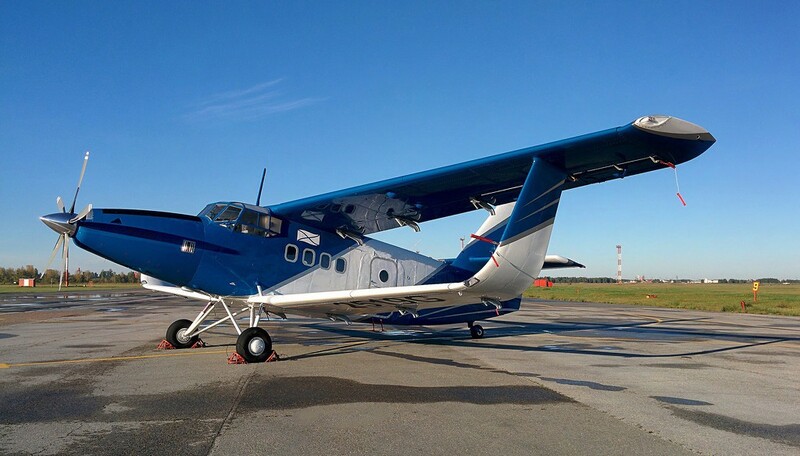 This 3,395-kilogram MTOW drone, transformed from a single-engined PAC 750XL turboprop monoplane , has just completed its mid-speed runs a few days ago . Measuring 11.84 meters long and with a wingspan of 12.8 meters, this future SF Express freighter drone has an autonomy of 2,183 km or 8 hours in flight. The future cargo drone of SF Express, with a capacity of 1 000 kg. According to the statement of the Chinese giant in distribution, more than 80% of delivery volume still focuses on the east coast of the country, where the economic and demographic development is the densest. Despite its thirty freight aircraft and a very large fleet of ground and river resources, SF Express indicates that there are still very difficult areas of access in China. For example, transporting a Chengdu to Panzhihua parcel over a 500 km flight is now taking between 12 to 15 hours by road, and it will take less than 3 hours to deliver even parcels by a cargo drone. Drones thus reduce not only the duration and the expenditure in the field of distribution, but above all to free geographical constraints and thus contribute to growth by domestic consumption and absorb a part of overcapacity of production in China . This explains why the drone has just been included in the "National Plan for Development and Planning of Artificial Intelligence of New Generation" ( 新一代 人工智能 发展 规划) , published in early July by the Chinese State Council. With more than 30 billion express parcels delivered in 2016, this gigantic well-protected market of foreign players and high growth potential also brings to light many Startup projects of cargo drone, bigger (in size) to each other. For example, the FM-15 drone of the startup FM Aviati on Technology with a mass of 5,500 kg on take-off. 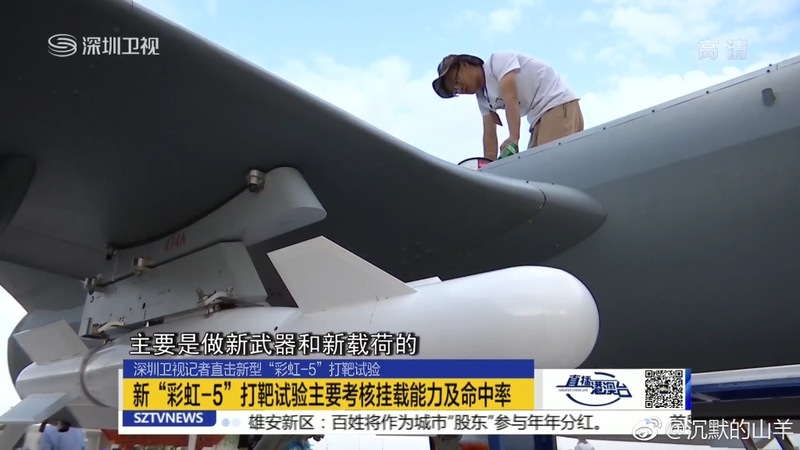 Modified from a former Chinese Y-5B biplane , the drone has a comfortable volume of 11.8 m3 for cargo and a carrying capacity of 1500 kg, making it the largest cargo drone in China. According to its CEO, QI Feng, a 30-year-old young woman who has already launched a multi-rotor civilian drone project, FM-15's business model is based on an online capacity sharing platform. 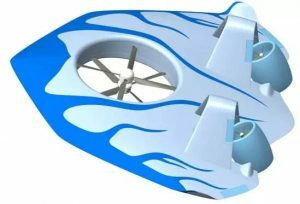 the company intends to offer a turnkey "turnkey kit" to convert other aircraft from general aviation to a transport drone. QI also took the example of transporting parcels from Chengdu to Panzhihua, indicating that truck operating costs are around 7 yuan (€ 0.89) per tonne, whereas for a cargo drone, which is flying for a distance of 352 km, this cost is only 5,12 yuan (0,65 €), a considerable decrease of 27%. 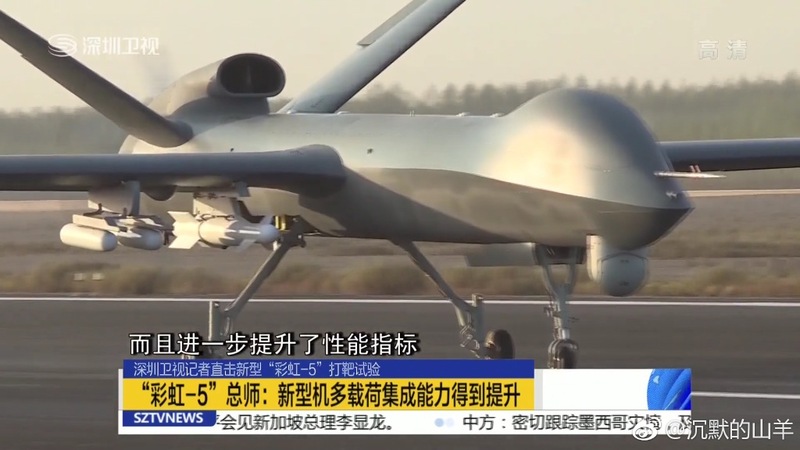 New details on the Chinese armored MALE drone Wing Loong II were revealed in a documentary broadcast on Monday on the local television channel CCTV-2. 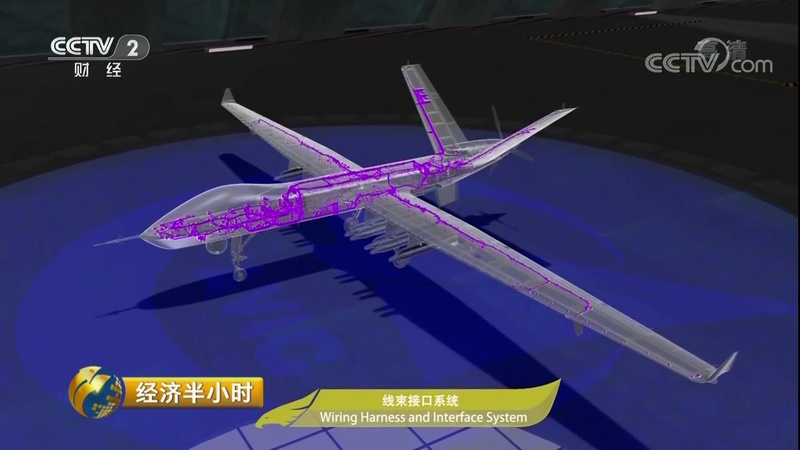 For example, Wing Loong II drones have already performed "a few hundred" hours of flight since its inaugural flight, which took place on February 27, 2017. 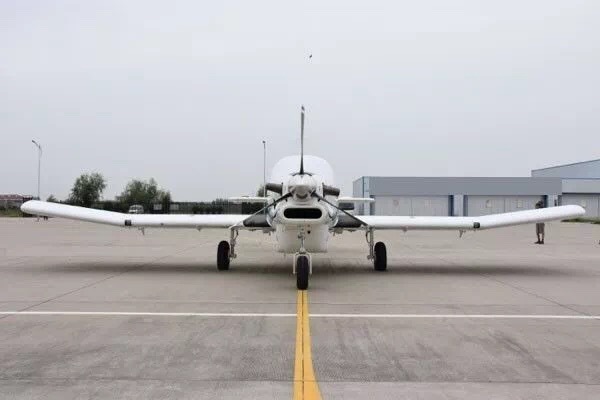 According to LI Yi Dong, chief engineer of the Wing Loong program at the 611 Chengdu Institute of the AVIC Group, the WJ-9A turboprop engine , derived from the WJ-9 which is used on the Y-12IV light transport aircraft , has not yet experienced a major flight failure until now. This is an advance in itself as the first version of the Wing Loong family of drones, Wing Loong I , was forced to equip the Rotax 914 of the Austrian company BRP-Powertrain with a foreign piston engine . 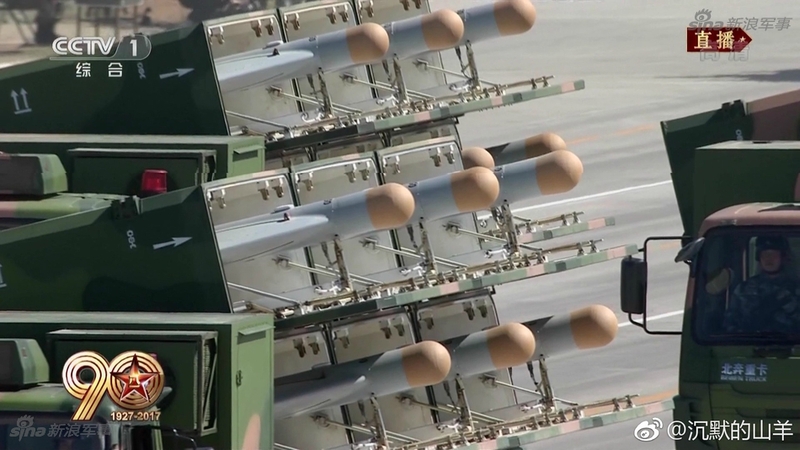 Capable of arming up to 16 missiles of a total mass not exceeding 480 kg, out of MTOW's 4,200 kg, it is not yet known whether the Wing Loong II has already conducted shooting campaigns in flight. 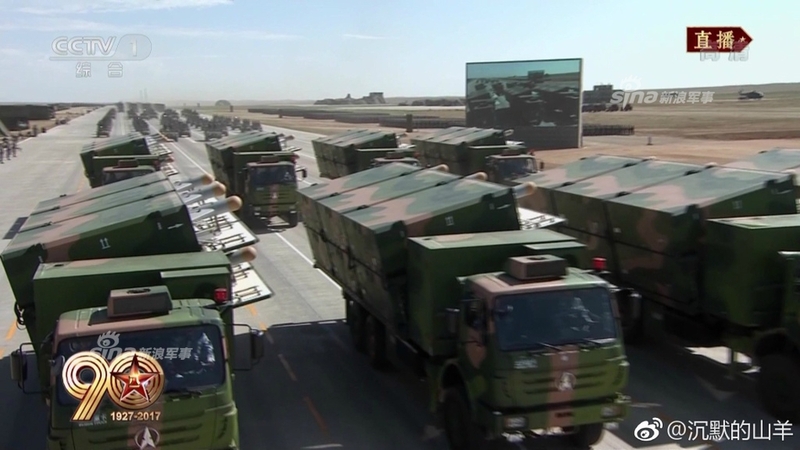 But according to the report, the various Wing Loong who are currently on active duty in several air forces of the world, including the Chinese Air Force, have already fired "nearly 1,000 missiles", with a rate of success of "more than 90%". If these figures seem appealing commercially, LI Yi Dong himself prefers to highlight the automatism of his drones, while admitting that Chinese manufacturers are still looking for the frontier between human intervention and autonomous decision of the machine. And he also spoke for the first time of control and satellite communication of Wing Loong, which allows to extend the radius of control to several thousands of kilometer, against 200 before in LOS mode. The chief engineer of Chengdu thus confirms the use of Chinese communications satellites in geostationary orbit, located 35,786 km above the equator, to serve as relay for data transfer with ground stations. 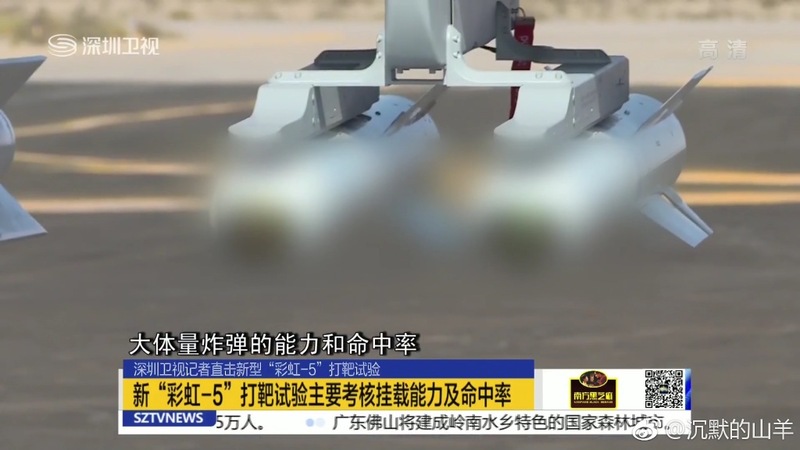 To compensate for the problem of a "few seconds" latency between two terminals (drone and station), the Chinese teams had to create a kind of temporary compensator to fill this time period, which is crucial for precision recognition that are very sensitive to the notion of time. 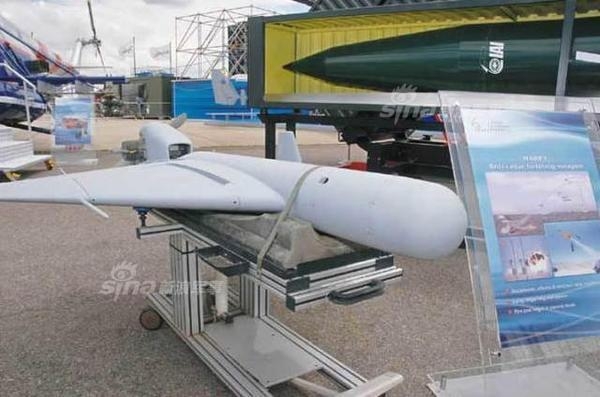 TB001 UAV, shown at the China-ASEAN Expo in Nanning, China. The manufacturer is 腾盾科技, English name Tengoen, from Sichuan province. 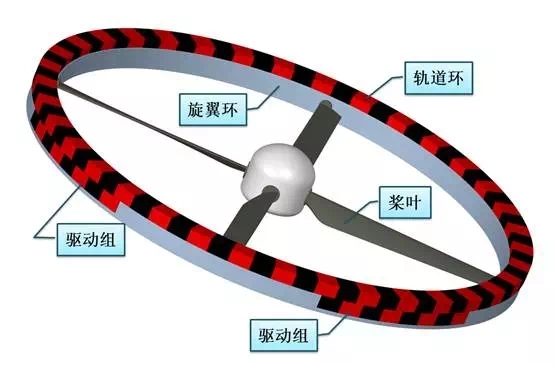 CHRDI ( China Helicopter Research & Development Institute ), a subsidiary of the Chinese helicopter manufacturer AVICopter, is continuing to develop its "plane concept", a Maglev helicopter drone that replaces the mechanical rotor transmission part with two magnetic rings. Although the term "Maglev" is used here a bit by language abuse, but the rotating part of this drone designed in such a way makes it possible to simplify the transmission, reduce the induced noise and the mechanical stresses, and at the same time the power necessary which will increase the autonomy of the aircraft, in equal amount of stored energy. And that's exactly what CHRDI is looking for in terms of the benefits of launching this project, presented for the first time in the form of a mock-up at the 2016 Zhuhai Air Show. 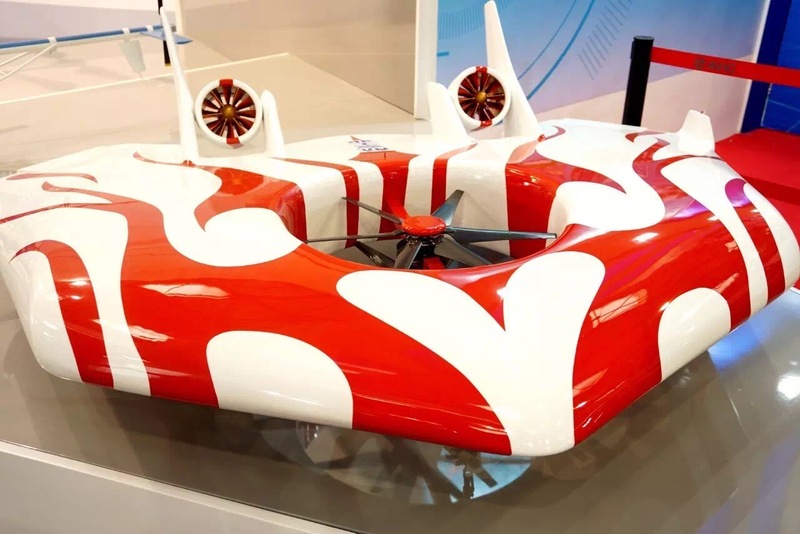 At the 4th edition of China Helicopter Exhibition, which took place last week in Tianjin, CHRDI came back with the same Maglev heliidrone but slightly different design. While the aircraft maintains the same aerodynamic wing configuration, with the main rotor in the middle of the cell and two thrusters at the rear serving as the default control surface, it appears to have abandoned the double inverted V- adopts a double vertical tailplane, which is larger, to ensure better stability. The whole body also appears thicker than the first concept. For now, CHRDI engineers seem to be still in the preliminary design stage for their Maglev drone. 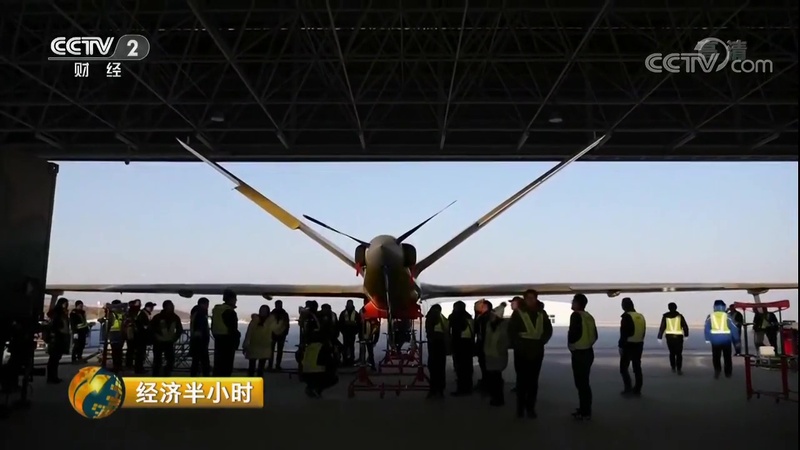 According to a video broadcast by the design office, a small-scale remote guided demonstrator was built and has already carried out several test flights. The machine, a little rudimentary, seems to be realized to test stability and flight control. The "Maglev" part would be absent if one believes the images in the video. The large central rotor seen on the models gives way to the two smaller ones installed symmetrically with respect to the longitudinal axis, probably to reduce the difficulty of controlling the roll stability for example. In a global trend where the Chinese military is increasingly interested in "Maglev" (and derived ) technologies , we can expect to see more and more of this kind of concept-project emerge. Among the projects currently under development are the electromagnetic suspension for ground combat vehicles at NORINCO, the electromagnetic rocket catapulting of aerospace rockets at CASIC, or the electromagnetic launching of missiles and torpedoes at the Academy of Sciences of the Chinese navy. According to the latest specifications briefed to IHS Jane's by a senior CASC official on 6 November, the medium-altitude long-endurance (MALE) CH-5 features a lightweight all-composite airframe structure that is 11 m long and has a wingspan of 21 m. The air vehicle has a maximum take-off weight (MTOW) of 3,300 kg and can carry a 1,200 kg payload, with an internal mission bay capacity of 200 kg and the remainder provisioned for underwing stores. CASC has specified an operating range of up to 250 km via line-of-sight datalink, although this can be extended to 2,000 km when satellite communication (SATCOM) protocols are employed. It is also capable of autonomous flight using pre-programmed waypoint navigation, with taxiing, take-off, and landing manoeuvres also fully automated. While the senior official cannot be identified due to strict media engagement policies, he nevertheless revealed that the CH-5 is equipped with a 330 hp heavy-fuel engine (HFE) that provides it with an operating endurance of up to 60 hours with high reliability, although this can be substituted with a 300 hp gasoline engine that offers up to 39 hours of endurance. Yan added that the HFE option enables the CH-5 to achieve a loiter speed of 180-220 km/h and a maximum speed in excess of 300 km/h, with a service ceiling of 30,000 ft (7,000 m). A typical MQ-9 system consists of multiple aircraft, ground control station, communications equipment, maintenance spares, and personnel. A military crew includes a pilot, sensor operator, and Mission Intelligence Coordinator. The aircraft is powered by a 950 horsepower (710 kW) turboprop, with a maximum speed of about 260 knots (480 km/h; 300 mph) and a cruising speed of 150–170 knots (170–200 mph; 280–310 km/h). With a 66 ft (20 m) wingspan, and a maximum payload of 3,800 lb (1,700 kg), the MQ-9 can be armed with a variety of weaponry, including Hellfire missiles and 500-lb laser-guided bomb units. Endurance is 30 hours when conducting ISRmissions, which decreases to 23 hours if it is carrying a full weapons load. The Reaper has a range of 1,000 nmi (1,150 mi; 1,850 km)[dubious – discuss] and an operational altitude of 50,000 ft (15,000 m), which makes it especially useful for long-term loitering operations, both for surveillance and support of ground troops. However, despite being almost identical in appearance and size, the Wing Loong II falls short in terms of overall flight performance with a stated maximum speed of 370 km/h and service ceiling of 30,000 ft (9,000 m) compared with Reaper's 444 km/h and 50,000 ft. This is likely a result of the Chinese defence industry's documented deficiencies in aerospace propulsion technologies, forcing manufacturers to import foreign engines or rely on less capable indigenous systems. China is working on stealth drones which can evade anti aircraft guns and giving emphasis on near space and long endurance drones.